The city of Palmview is suing the Agua Special Utility District for allegedly failing to provide services to the city’s residents. Agua SUD provides water services for residents throughout Western Hidalgo County and sewer services for Sullivan City. 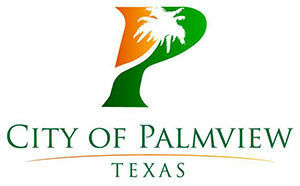 The utility district plans to begin offering sewer services to Palmview as well through a $42 million project, dubbed the Palmview Wastewater Project. However, the city wants to also provide wastewater services for properties in the southern area of the city, along Interstate 2 from La Homa Road to Breyfogle Road, which are not included in Agua SUD’s project. The city then began their own project to connect those properties to sewer lines and build their own lift station. However, because Agua SUD holds the CCN — or certificate of convenience and necessity — for that area, the city cannot move forward without their permission. “In January 2018, Agua SUD indicated that it did not need the project since its $42.2 million project financed in part by the Texas Water Development Board (TWDB) would provide the service by the spring of 2019,” the lawsuit stated. According to the lawsuit, Agua SUD indicated that a smaller lift station was acceptable and the collection lines could be used. They also requested that the city go through an application process. However, the city alleges that Agua indicated the project was not needed at all and that the city should not file the application. The city’s project, Acevedo said, has already been bid out and they would be ready to operate in several months. In a statement to The Monitor, Francisco “Frank” Garza, attorney for Agua SUD, said they sent a letter to the city explaining what would be required to move forward with the project. A copy of the letter, dated Jan. 25, was included with Garza’s statement. Garza also noted that the city’s construction of their own sewer system was a violation of Agua SUD’s exclusive CCN rights. In their suit, they demand that the utility district either allow them to move forward with their project or support the transfer of the wastewater CCN to the city.